2. Drag source in DFT and it should point to CharacterMapDemoSource Table. 3. Drag Character Map Transformation and do following settings. 7. Records will look something like this. 8. 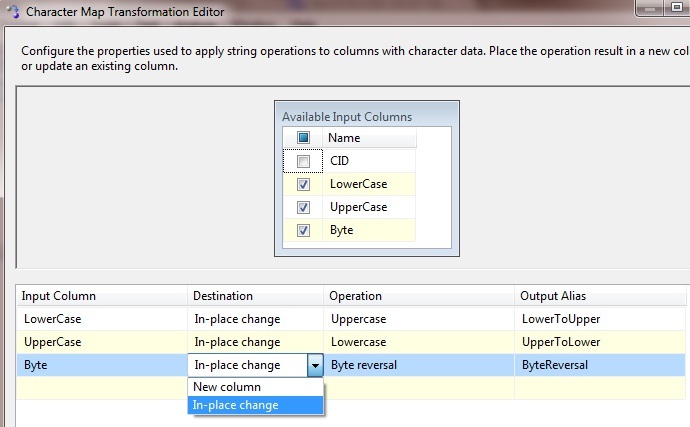 ByteReversal operation basically goes by the byte of a string and reverses all the bytes.